Whether your clients are celebrating a milestone with a family get together or need some time to rest and reconnect, Dream Escape can provide the ultimate centrepiece to a superb bespoke itinerary. From fairy-tale castles to stately homes and luxury lodgings with regal connections, we will ensure the perfect pairing from our handpicked collection of private properties. A luxurious 17th century baronial mansion is perfect for a multi-generational group in search of an inspiring private retreat. 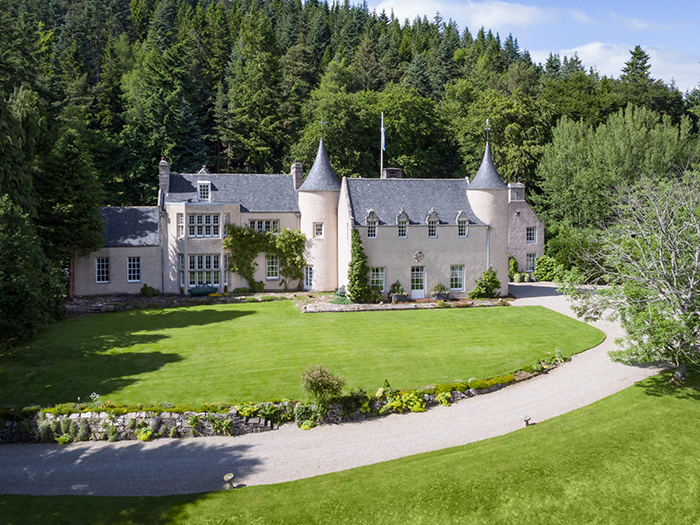 Set in the heart of the wild Cairngorms National Park with the Queen’s Balmoral Estate to the west, relax and recharge in a magical setting surrounded by private woodlands or venture out to explore the magnificent Highlands kayaking, hiking or on 4×4 safari adventures. Indulge in a private tutored tasting in the property’s very own single malt whisky library and enjoy visits to the best Scottish distilleries. The nearby rivers boast some of the best salmon and trout fishing in the world. With tuition from a local ghillie cast a line in the estate’s own secluded fishery and enjoy fly fishing on the private loch. Enjoy a visit to the magnificent ancestral seat of the Earl of Erne, a fairy tale castle set in beautiful parkland on Lough Erne at the heart of Northern Ireland’s lakelands. Take over a wing of this magnificent neo-Tudor mansion or stay as a guest of the Earl himself indulging in the chance to experience an aristocratic house party atmosphere. Walk through splendid parkland to castle ruins and explore the undulating shoreline of Lough Erne by foot or by boat. Enjoy the Earl’s local family connections exploring stunning nearby gardens or drop in at one of the oldest pubs in Ireland for a pint of Guinness and simply take in the beautiful County Fermanagh landscapes. Experience quintessential England with a picture-perfect escape in your own country home. Arrive by helicopter admiring the beautiful estate and surrounding area which is teaming with royal connections and just a stone’s throw from Windsor, the setting for the recent Royal wedding. Stay in a luxuriously secluded private estate cottage with a stream running through the beautiful garden. Try your hand at the ‘Sport of Kings’ with a polo masterclass on the estate’s very own polo fields or simply take a leisurely hack in the countryside. Play a round on the neighbouring championship golf course and indulge in an array of exclusive experiences ranging from off-road classic vehicle driving to a gourmet masterclass.